Looking for cheap calls to Puebla mobiles? When calling Puebla in the past, you’ve used Vonage World®, a plan that’s served you admirably, giving you unlimited¹ calling to Puebla landlines — but not mobiles. You’ve searched and searched and searched, looking for a way (other than Puebla calling cards) to affordably call Puebla mobiles. Unlimited¹ calls to Mexico landlines and landlines in more than 60 other countries! Unlimited¹ calls to Mexico mobiles and mobiles in 10 additional countries! Get all the calls you want¹ for one low monthly rate. 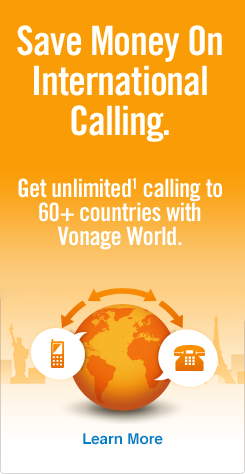 Vonage World Mexico Sin Limites gives you the added bonus of mobile calling to Puebla that Vonage World cannot. And in this mobile day and age, the flexibility of being able to call Puebla landlines or mobiles is particularly valuable. That’s the plan for calling Puebla, but do you know the steps for how to call Puebla? Then, dial 222 — the Puebla area code. And that’s how you call Puebla. But maybe, just maybe, you’re looking to call other cities in Mexico (which Vonage World Mexico Sin Limites covers). You’ll need some help with dialing details, so take a peek at how to call Mexico from the USA today! Puebla’s Spanish heritage can be seen in the many beautiful monasteries, cathedrals and large homes in the city. Founded in 1531 and a former Spanish colony, Puebla is now one of the five biggest cities in Mexico. Although Puebla and its surrounding area have been heavily deforested, crops, agriculture and livestock still make up a notable chunk of the city’s economy.